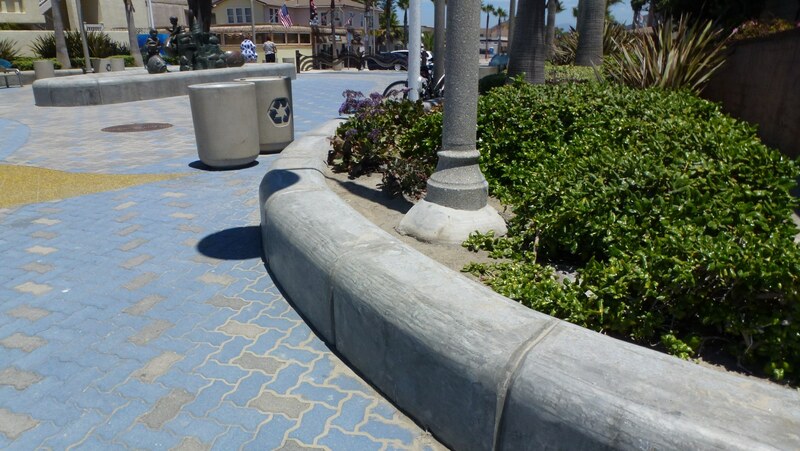 Estrada Land Planning prepared conceptual plans and construction documents for two creative street termini along the shore in Imperial Beach, CA. 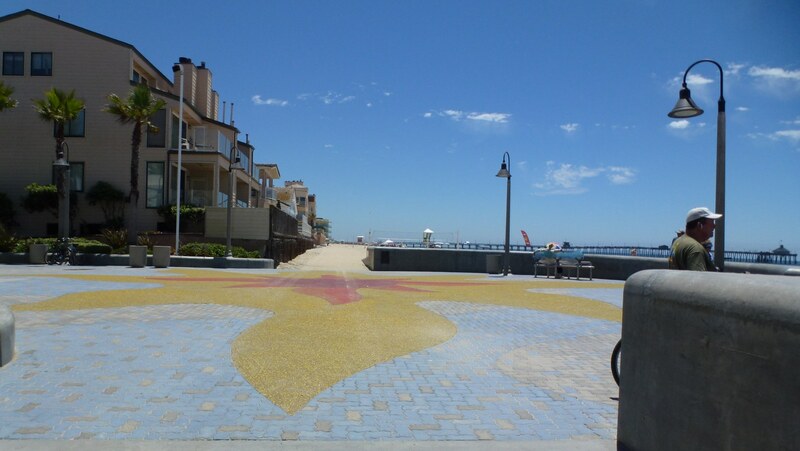 Palm Avenue was designed to create a dramatic entry to the beach area as well as provide lifeguard access and emergency access to storm drain pump systems. 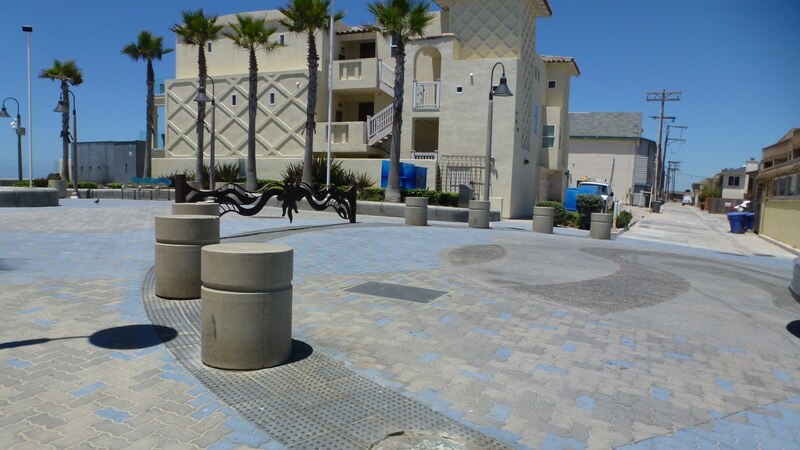 Interlocking pavers are laid in wave patterns inspired by the nearby ocean, creating a plaza for cars and a beach access focus for pedestrians. A large glass paving sun pattern creates a viewpoint for enjoying the ocean vistas. 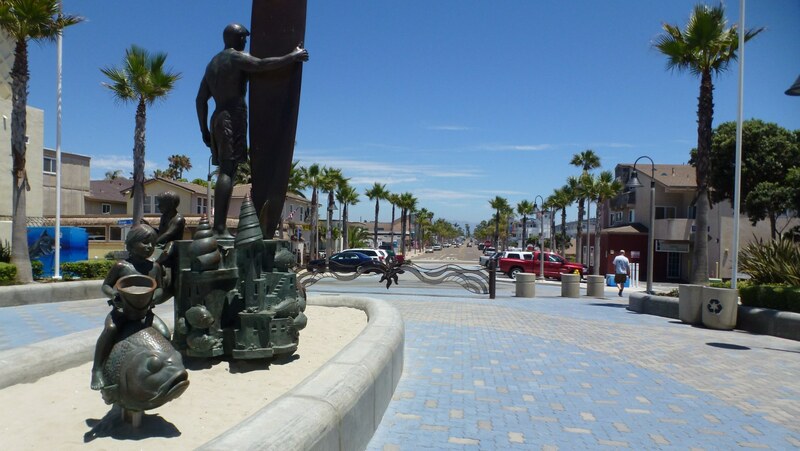 The bronze surfer sculpture flanked by palm trees creates a focal point in the center of the pedestrian plaza. The facility was designed for universal accessibility. The project won an American Public Works Assoc. (APWA) Award in 2009.